Running out of space in your home? 1. 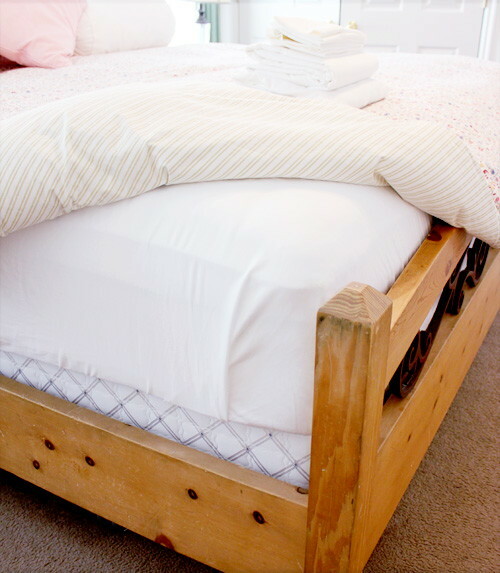 Store extra sheets and pillowcases under your mattress. Fold your extra sheets and store them between the mattress and the box spring (if you have one). You shouldn’t feel any lumps or bumps. 2. Buy an ottoman with hidden storage. Ottomans with storage are easy to find at any mass retailer or online sites like Wayfair and Overstock. You can probably even find a small one at T.J.Maxx for around $40. 3. Convert IKEA spice racks into bookshelves. 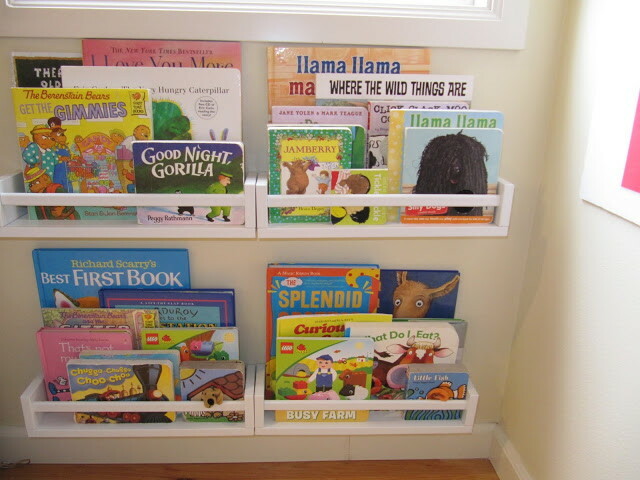 Get a few spice racks from IKEA for $3.99 each, and repurpose them into bookshelves for the kiddos. They’re originally a light wood, so make them your own and paint them your favorite color. Then, put the spice racks together and mount them to the wall. Voila — bookshelves! 4. Use stick-on pods to store cosmetics. 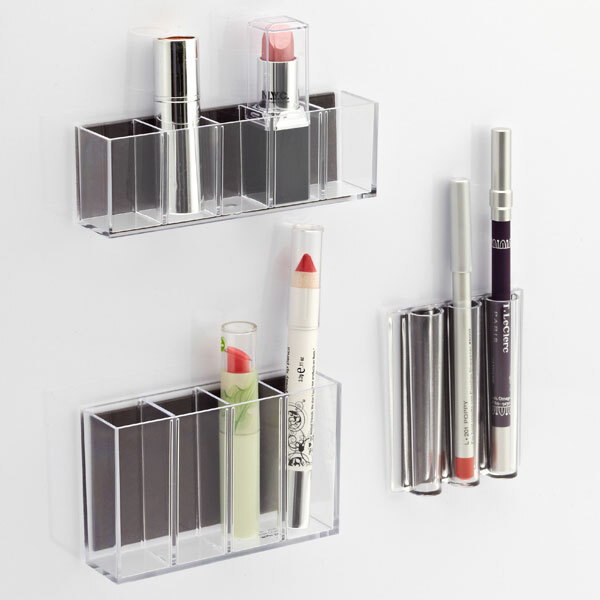 Now you can store and hide away different cosmetics from nail polish to eyeshadow that are taking up space in drawers or on a bathroom counter. You can find these stick-on pods at The Container Store for $9.99. 5. Store bathroom necessities in a cutlery organizer. 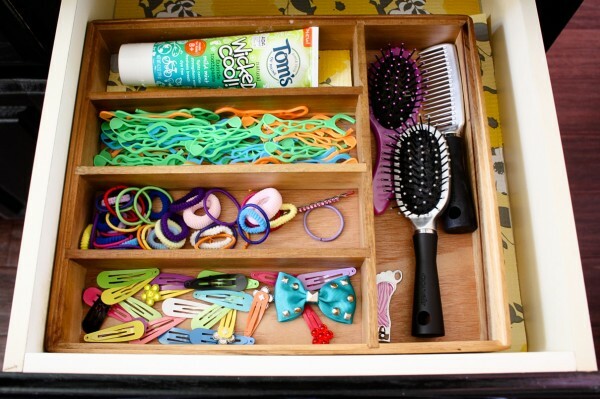 Store hair clips and hair ties, toothbrushes, toothpaste and so much more in a cutlery organizer. 6. 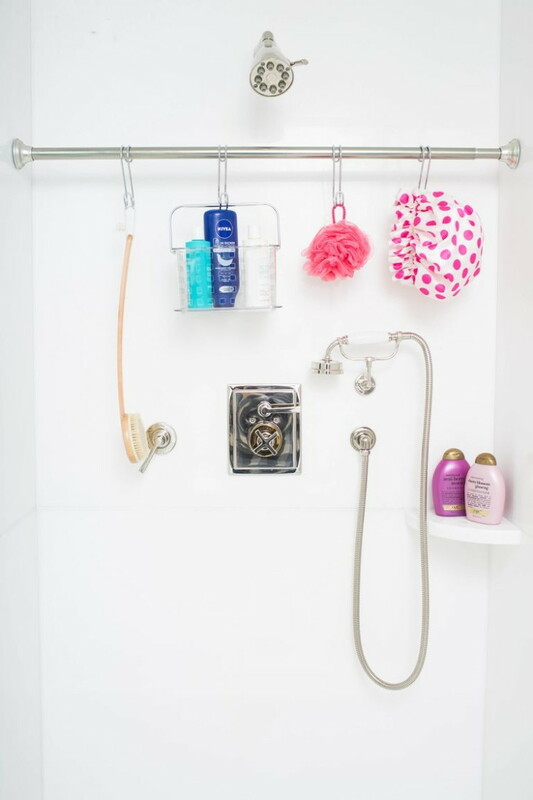 Use a tension rod to organize and declutter your shower. To get this look, you’ll need a tension rod that fits your shower and S-hooks with/or without clips. 7. 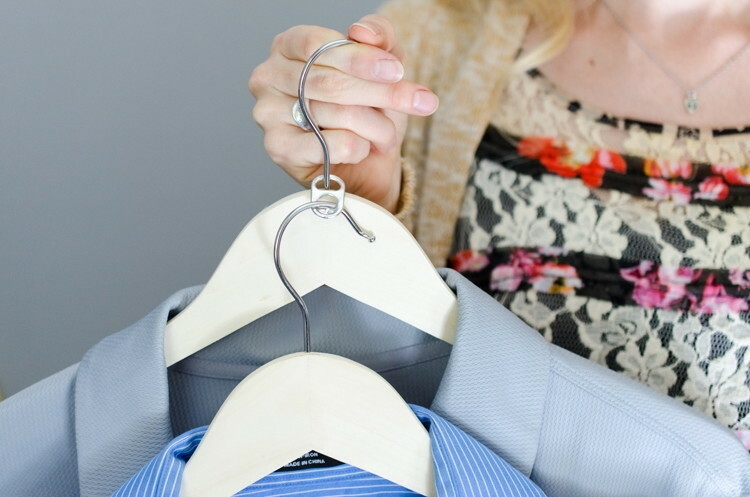 Double your closet space by adding an extra clothing item to soda can tabs. This trick saves so much closet space — and it’s easy. There are times where I’ll stack up to five hangers on one. Say hello to more closet space! 8. Stagger two tension rods to create a shoe holder. 9. 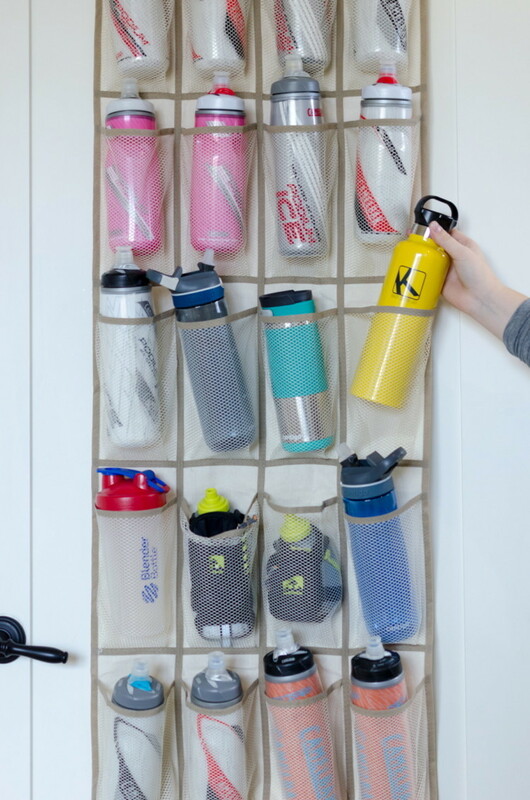 Use a shoe organizer in your pantry to store water bottles. If you are a water bottle hoarder like I am, you’ll find this extremely useful. 19. 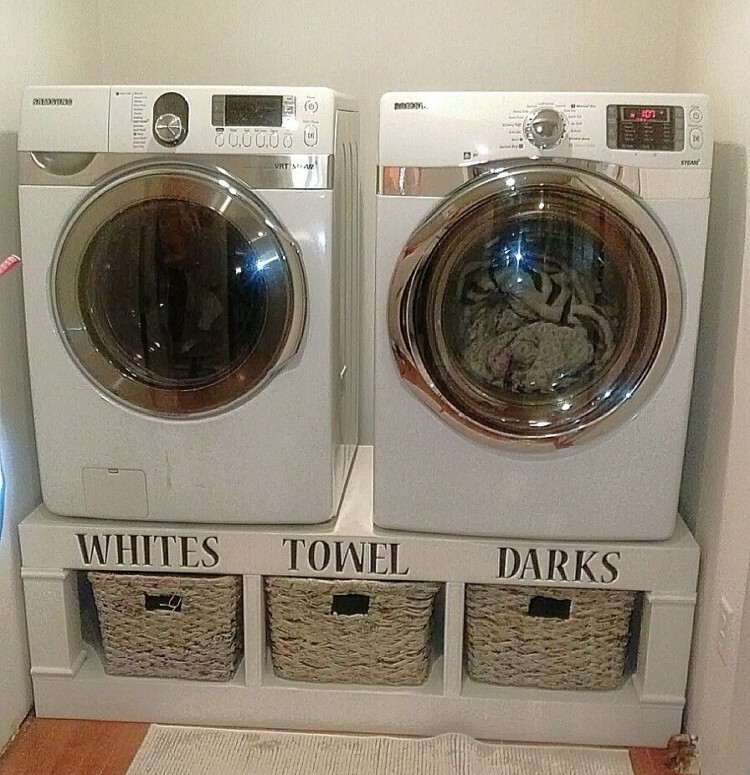 Put your washer and dryer on a pedestal for added space underneath. You can build your own if you’re feeling up to it — or go the easy route and use an old coffee table instead. 20. 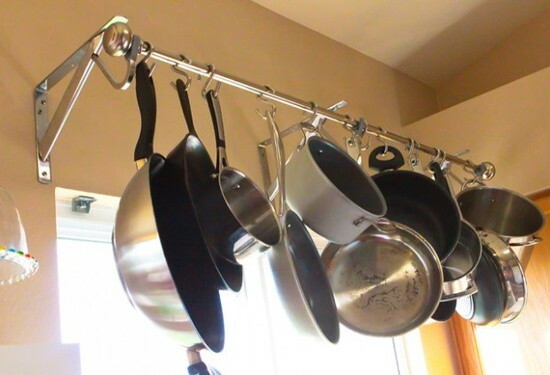 Hang a sturdy curtain rod over a window, and attach pots with S-hooks. 21. 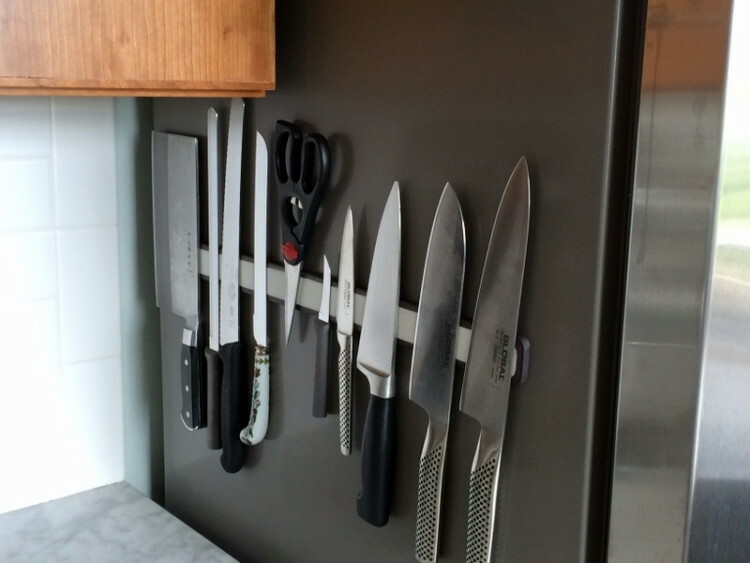 Ditch the knife block for a magnetic knife strip for added counter space. Find a stainless steel magnetic knife rack at IKEA for $8.99. 22. Use mesh shelves inside cabinets for extra storage. 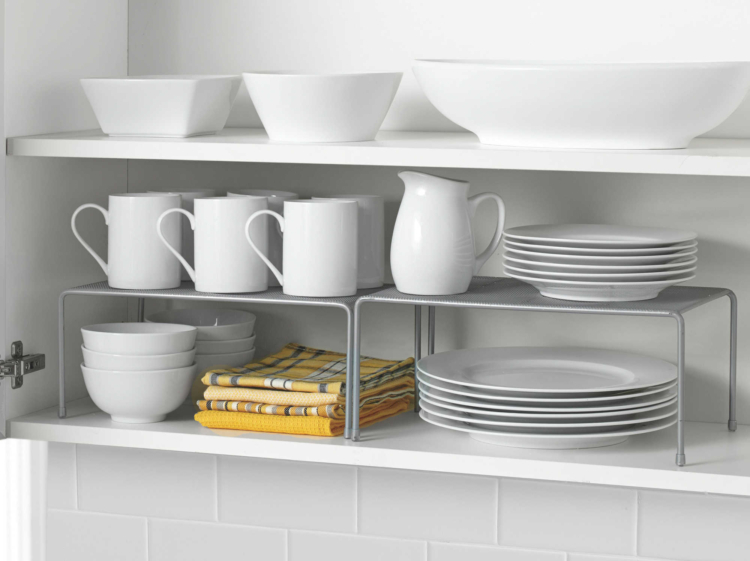 Maximize every square inch of your cupboard space with extra shelving. 30. 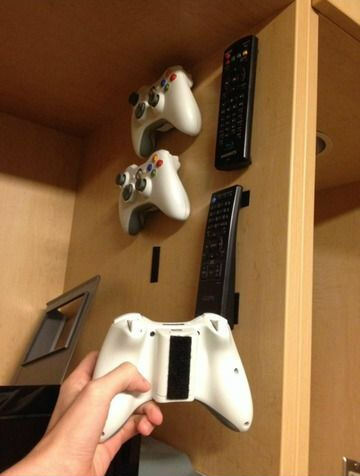 Use velcro to store your remote controls. Attach velcro to remotes or game controllers. You’ll never lose them, and they’ll stay organized. 31. 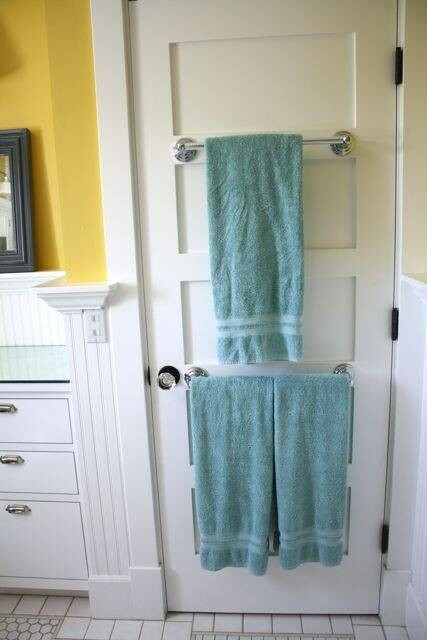 Install towel racks on the back of your door for added bathroom space. 32. Elevate your bed for extra storage underneath. Find bed risers on Amazon for about $10. 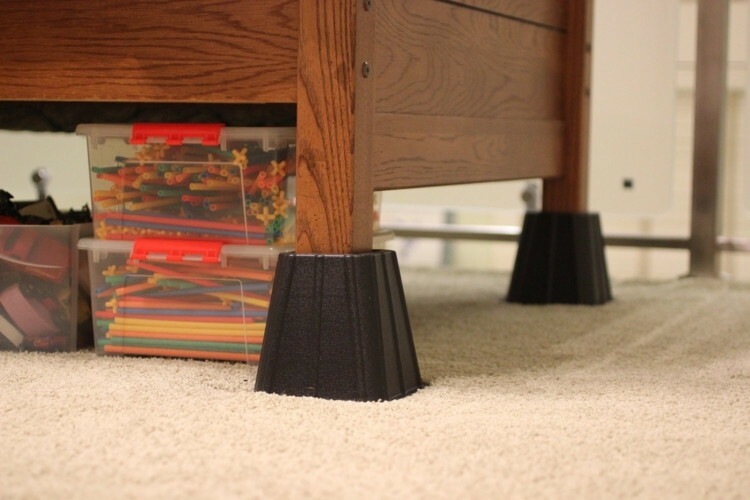 Then, you can keep plastic totes under your bed for added storage. 33. 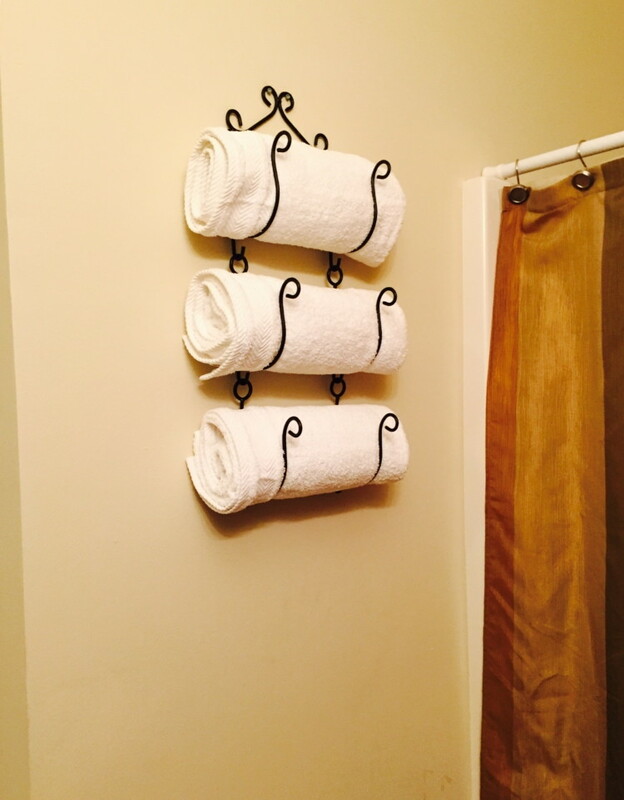 Repurpose a wine rack and use it to store towels. Really any type of wine holder will work to hold hand towels or body towels. Not only does it save space, but it gives the bathroom some added character.